Rush-Co Marine is your one-stop shop for high-quality replacement boat lift canopies at affordable prices. 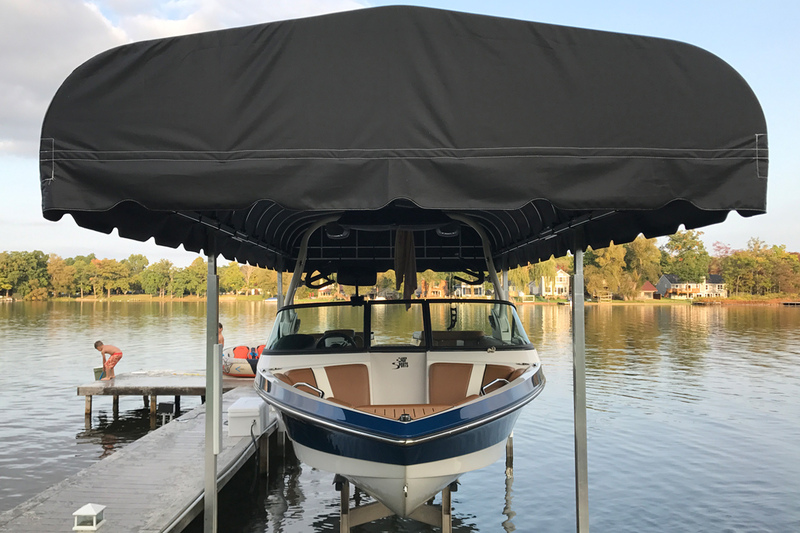 For more than a decade Rush-Co has been the trusted manufacturer of boat lift canopy covers for boat lift manufacturers. Now you can order a replacement boat lift canopy direct from us. With Rush-Co boat lift canopies you can count on a perfect fit, high-quality materials and fast delivery. Rush-Co Marine offers replacement covers for most brands and sizes. In addition to standard boat lift covers, Rush-Co also offers custom covers to meet your specific needs. If you do not see your brand or size below, give us a call for a quote and lead times. To purchase your replacement cover visit an authorized Rush-Co Marine dealer or directly through Rush-Co by phone at 1-877-330-0512.